Representative London work: Advising UK oil and gas independent Chrysaor Holdings’ $3bn acquisition of a package of assets in the UK North Sea from Shell. Despite securing the first major US takeover of a London firm back in 2000, Dechert has since been largely viewed as strategically cautious and lacking visibility in the City. However, the Philadelphia-bred firm has been making notable efforts to make up ground in the last year or so. As US firms continue their push in London, Dechert has found added momentum, reporting a solid growth in City income last year (notable compared to the 10% slide in its revenues in 2015), aided by a 30% jump in headcount and a number of high-profile hires. Significant laterals in 2016 include high-profile City duo Ross Allardice from White & Case and John Markland from Kirkland & Ellis, who arrived last November in the firm’s private equity (PE) and finance practices. 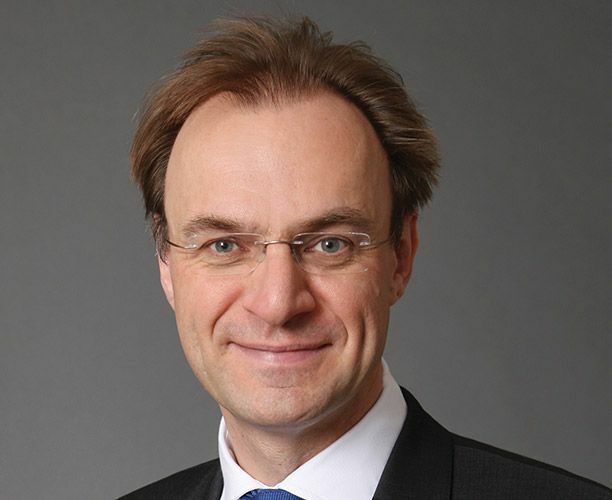 Earlier in the year, Dechert turned to DLA Piper for finance partners Philip Butler and David Miles to enhance its direct lending business (Butler was DLA’s global head of leveraged finance). And most recently in the City, Dechert hired Clifford Chance’s litigation partner Stephen Surgeoner. The firm also recorded a significant uplift in instructions last year. These include advising Magyar Telekom on the sale of its holding in the Invitel Group to the China-CEE Investment Fund and representing Ziarco’s shareholders on its sale to Novartis, led by corporate partner Graham Defries. Other noteworthy Dechert London partners include head of structured and real estate finance Charles Malpass, and co-chair of the firm’s international trade and government regulation Miriam Gonzalez, whom the firm also hired from DLA in 2011. However, finance partners at rival firms argue that despite its US strength and its recent City push, Dechert will continue to struggle due to its lack of bank panel relationships. ‘Dechert is trying to operate how DLA did, but it has the weakness of not being on panels like other City firms are. This is not a problem for firms like Latham, because its work is not fee-sensitive,’ says a senior City finance partner. However, Dechert’s head of corporate in London, Douglas Getter, argues changes to the credit markets have altered the dynamic. ‘Phil [Butler] and Dave [Miles] are a good example of the synergies between traditional and alternative lenders. They started at DLA and did bank work for over 20 years. By the time we met them, their work had evolved to almost 75% for direct lenders,’ he says. And, while Dechert’s City history suggests it has not been fulfilling its potential, sustained expansion in the firm’s core areas – PE, finance and investigations, as well as life sciences, financial services M&A and international arbitration – seems to be working. The same month it hired Allardice and Markland, Dechert picked up a first-time instruction for key White & Case client Mid Europa Partners on the largest PE deal in Romania. Regarding the firm’s strategic direction, New York, London and Hong Kong remain the key geographies in general, with Germany and Paris regarded as underweight and where the firm is paying particular attention to growth in the short term. ‘Now we’re looking to continue building our platform. Our USP is to represent funds in everything they do, both under US and UK law, and that’s the position we have put ourselves in,’ Getter concludes. Representative work: Advised TowerBrook Capital Partners on its sale of Netherlands-based frozen food company Van Geloven to McCain Foods; acting for Wells Fargo on its £300m purchase of a new European headquarters in London. One the biggest movers in the Global London report this year in terms of headcount, Sidley Austin started 2016 with a bang. A hiring spree saw the firm recruit 12 partners into its London team, compared to one in 2015, eliciting comments from City rivals that the firm had ‘pulled out the chequebook’ and ‘put its money where its mouth is’. 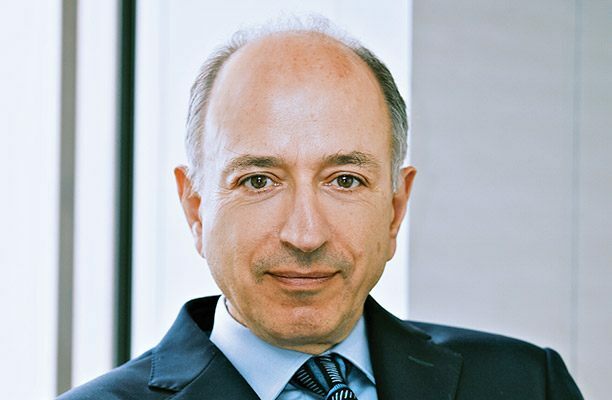 The firm has made good on ambitions to push hard to create a broad private equity (PE) and sponsor-led finance offering, and the list of targets on the firm’s roster – Kirkland & Ellis; Linklaters; Cravath, Swaine & Moore; Paul Hastings; Willkie Farr & Gallagher; and DLA Piper – are testament to a year of investment. Lawyer headcount in the office has grown from 108 in 2015 to 134 last year, an increase of 24%, while partner numbers at the turn of the new year had risen from 35 to 45. The recruitment drive returns the firm to the level of coverage it enjoyed around 2008, after which the firm retrenched from the City in the aftermath of the global financial crisis. City turnover reached record levels, up to £75.2m for 2016 from £64.2m in 2015. Globally, the firm remains steadily on the up, if at a slower pace than in recent years, with Sidley posting a small revenue boost to $1.93bn, up 3% following on from a year of 6% growth in 2015. Profit per equity partner has also seen a 3% bump, from $2.06m to $2.13m. The year was punctuated by aggressive team hires from Kirkland. 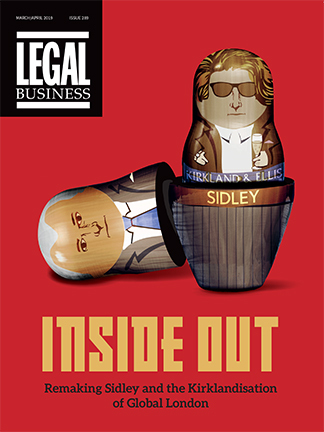 In February it was reported Sidley had landed a six-partner team from the Chicago firm, including the rare departure of two equity partners. The joiners included corporate partners Erik Dahl, Christian Iwasko, Sava Savov and Fatema Orjela; leveraged finance partner Bryan Robson; and tax partner Oliver Currall. The team was later reunited with Willkie partner and former Kirkland debt financing partner James Crooks, and was further boosted by the addition of bankruptcy partner Jifree Cader, also from Kirkland, employment partner Susan Fanning from DLA, and a high-yield debt team comprising Alan Grinceri from Cravath and Noel Hughes from Paul Hastings. And, over Christmas, the firm completed its 2016 spree with the hire of banking rising star Yen Sum from Linklaters, who is expected to develop its alternative lender clients. That London growth syncs with the firm’s European ambition. With the arrival of Dahl, the firm returned to the German market two years after making an exit from Frankfurt. 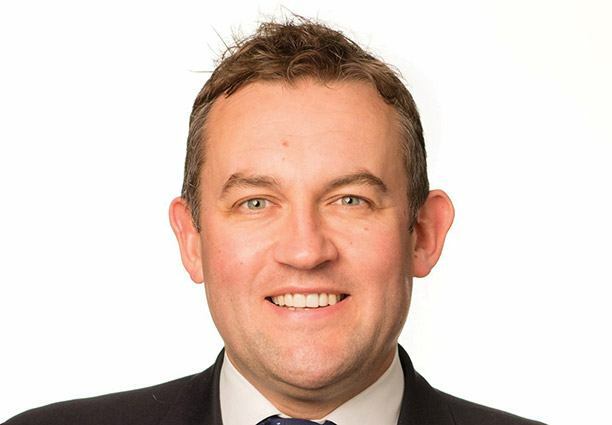 Since his arrival, the firm has further added nine laterals in Munich, seven from Kirkland and one each from DLA and Linklaters, although many are still serving gardening leave at their previous firms. Work has now turned to bedding in the London team and securing the kind of deals the partners were hired to complete. Key work for the new team has been winning clients such as TowerBrook Capital Partners. Early mandates have included advising TowerBrook on its acquisition of Dutch education company Van Dijk Educatie for an undisclosed fee, led by buyout partners Iwasko, Savov and Orjela with finance from Robson. The firm has also won restructuring work, advising French vehicle leasing firm Fraikin, which holds €1.4bn of debt. The combined offering of the Kirkland hires, along with Sidley’s existing London unit, is not insubstantial. But with the addition of such a portable and high-value team, as demonstrated by the raid on Kirkland, Sidley’s management will now have to work to bed down the new arrivals and take full advantage of the momentum handed to them.